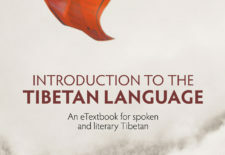 Post Tagged with: "Tibetan Language"
Published by Australian National University Press, “Introduction to the Tibetan Language: An eTextbook for Spoken and Literary Tibetan” by Ruth Gamble, Tenzin Ringpapontsang, Chung Tsering and Grazia Scotellaro is a free resource for those wishing to learn Tibetan language. 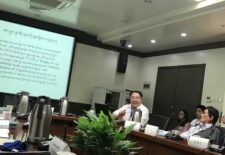 High Peaks Pure Earth has translated an open letter to the Party Secretary of Tsolho (Ch: Hainan) Tibetan Autonomous Prefecture Zhang Wenkui, from a netizen called Tsering Kyi. 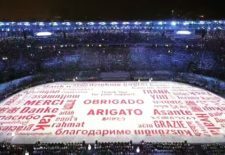 The open letter was written on April 4, 2017 and posted on social media such as WeChat and Weibo. 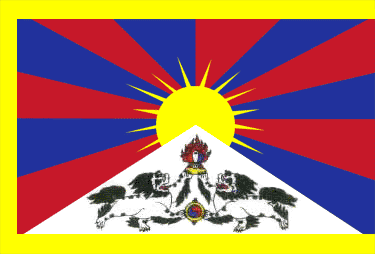 High Peaks Pure Earth has translated a blogpost by Woeser, originally written for the Tibetan service of Radio Free Asia on August 23, 2016, and published on her blog on August 27, 2016. 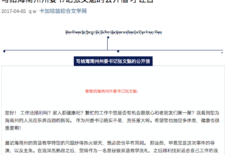 High Peaks Pure Earth has translated a short post and comments to an online poll that circulated on WeChat in December 2015. 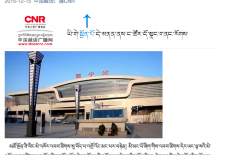 The online poll was related to Tibetan language, pointing out that Xining Railway Station only has Chinese language signage. 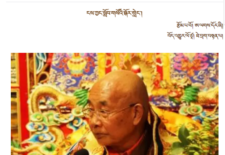 High Peaks Pure Earth has translated a blogpost by Woeser written in February 2015 for the Tibetan service of Radio Free Asia and published on her blog on March 26, 2015. 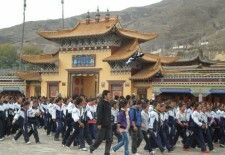 High Peaks Pure Earth has translated a response from students in Ngaba, Amdo, to a speech that was given by the Director of Ngaba’s Education Department at the end of October 2014. The response was written on November 5, 2014 and subsequently widely circulated on social media. 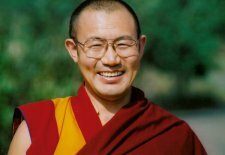 High Peaks Pure Earth has translated an article about Tibetan language by one of the most respected and influential Buddhist teachers in Tibet today, Khenpo Tsultrim Lodoe of the Larung Gar Buddhist Institute in Kham, Eastern Tibet.